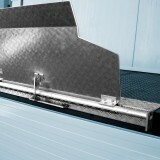 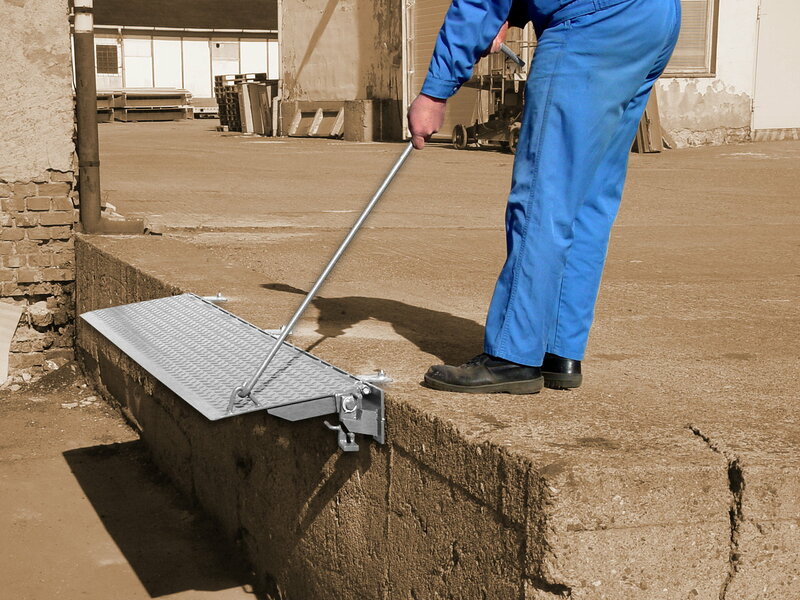 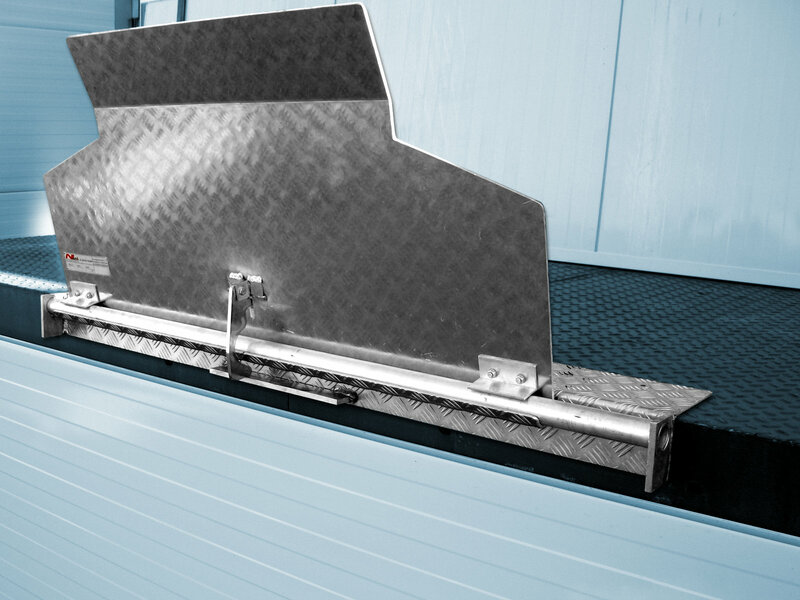 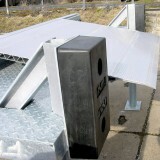 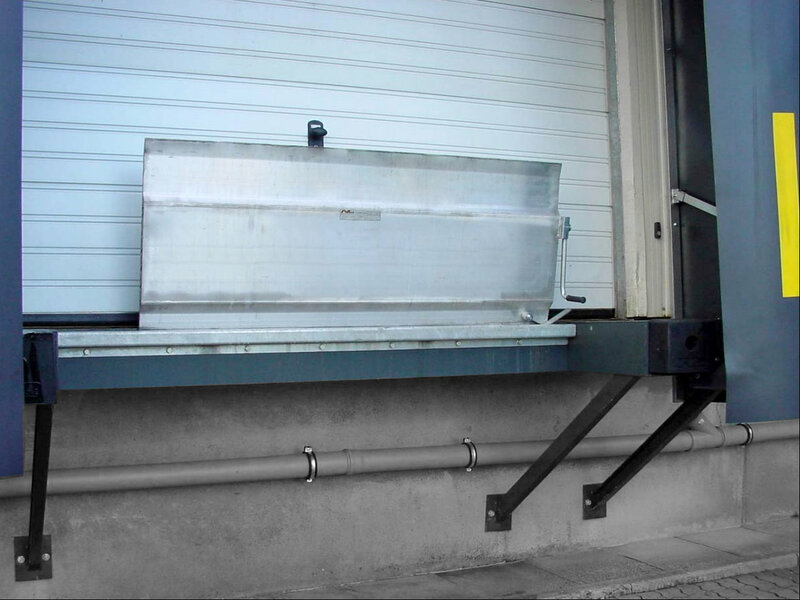 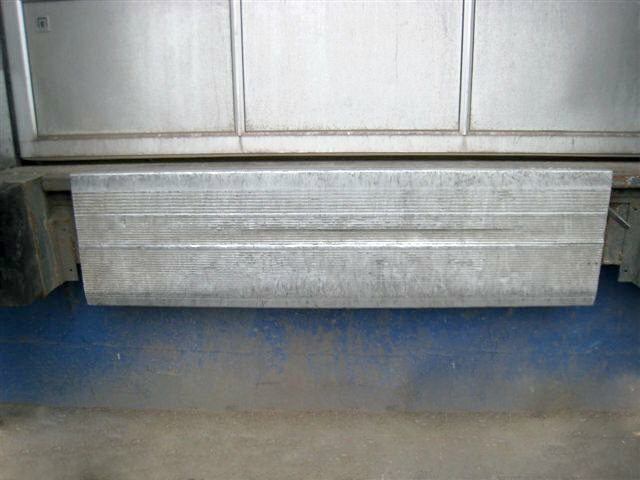 The Side-Sliding Aluminum Dockleveller type SV-A is suited especially at outdoor ramps for the loading at low differences of level. 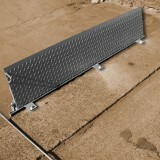 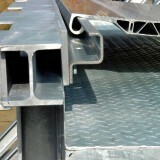 The levellers made of robust aluminium are sideways relocatable in a galvanised leading-profile and easy to operate from 1 person. 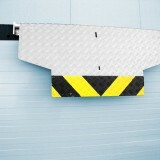 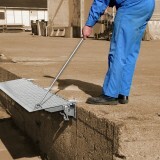 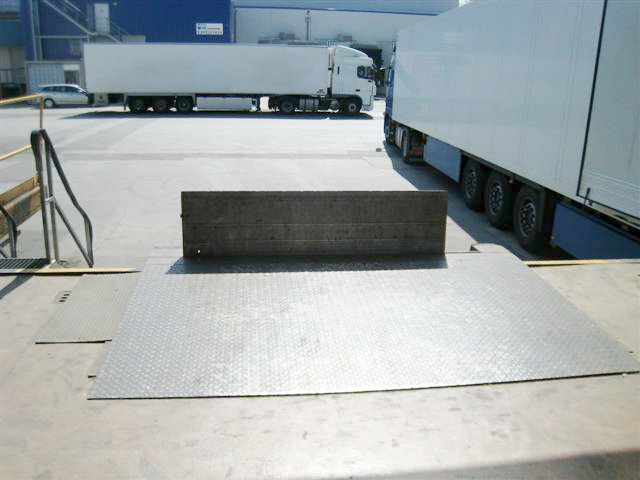 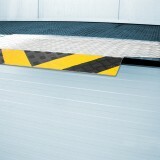 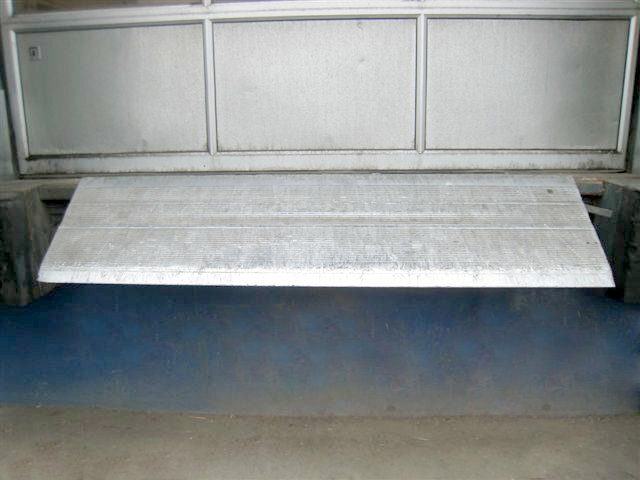 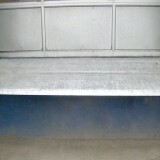 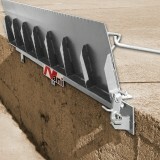 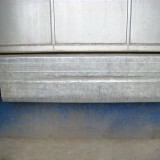 While non-use the leveller stands vertical at the edge of the ramp. 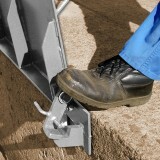 An automatical locking prevents unintentional fall off. 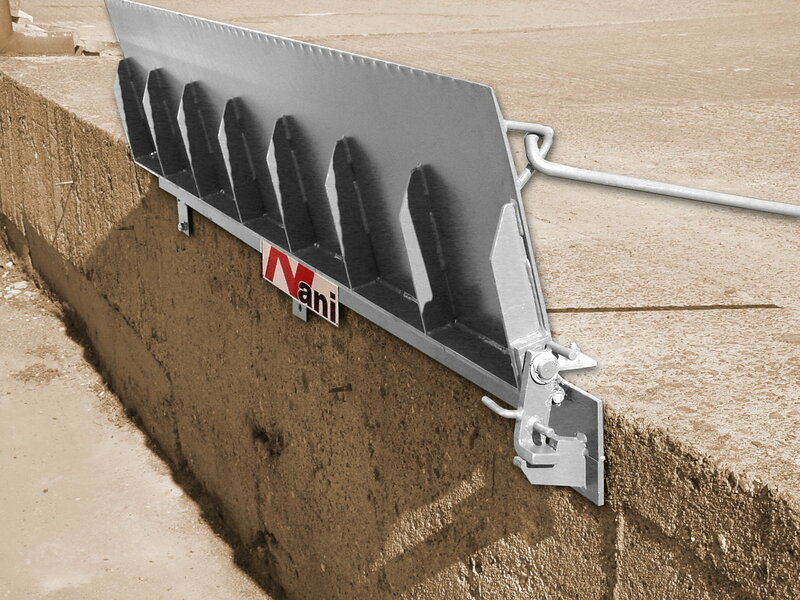 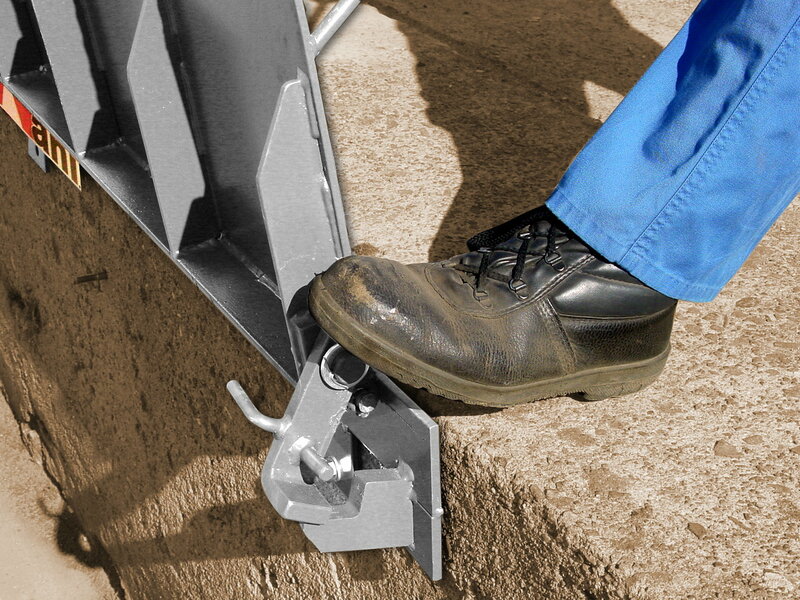 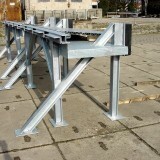 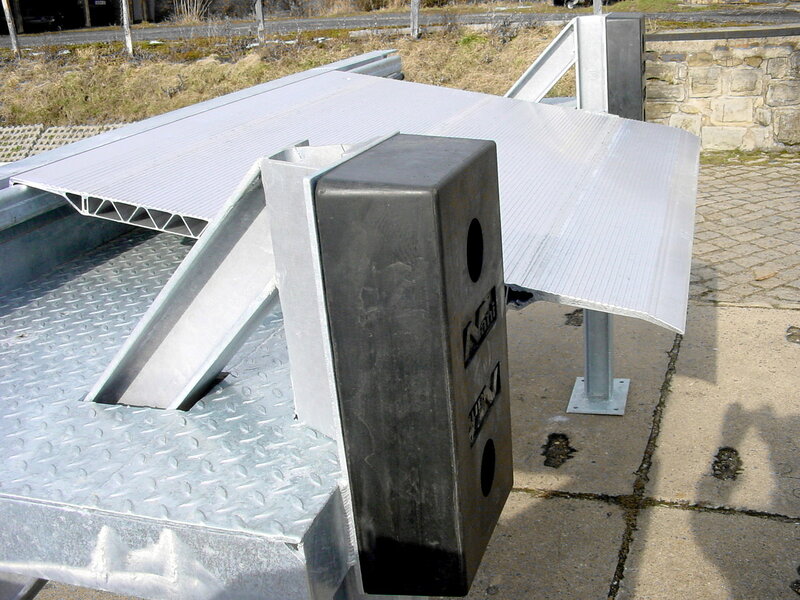 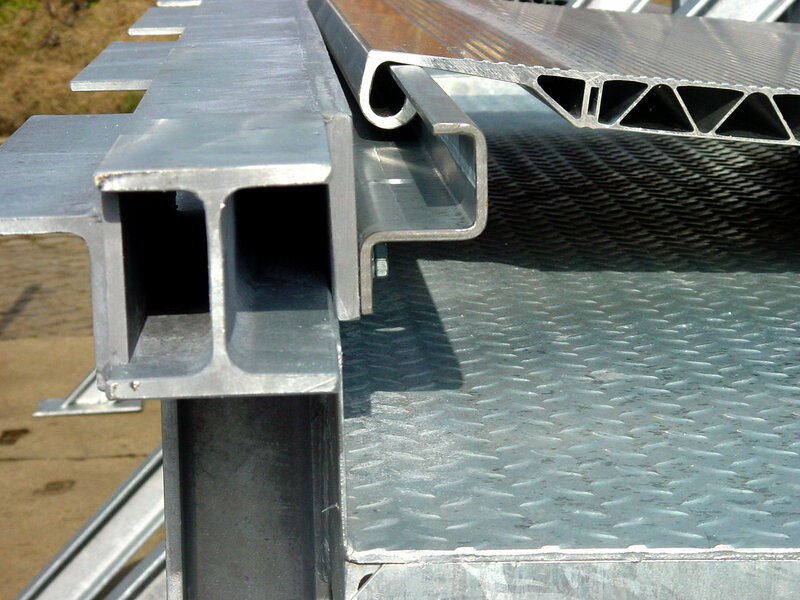 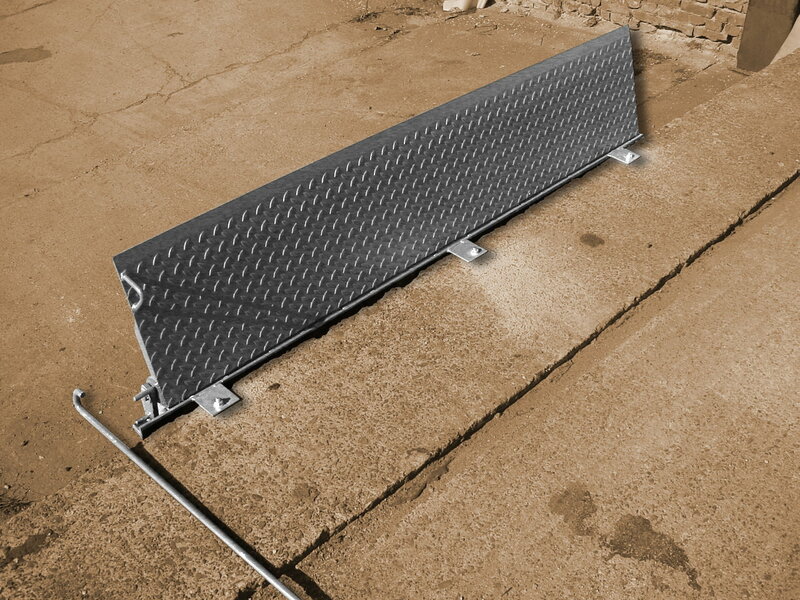 The Aluminum Docklevellers SV-A are mostly attached to the simple concrete ramp or placed in a robust hot-dip galvanized steel frame in front of the building and gate. 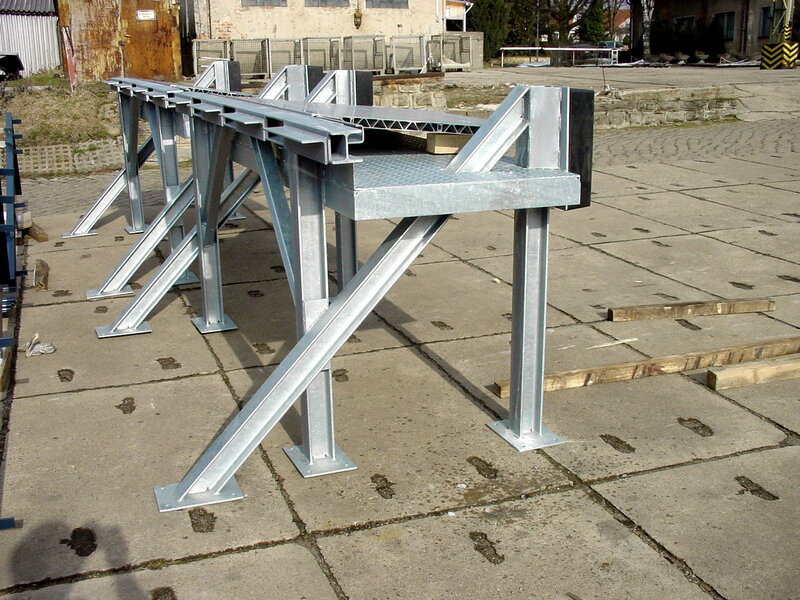 This allows an individual design of the Dock Bumpers and a discharge of the impact forces in foundations independent of the building. 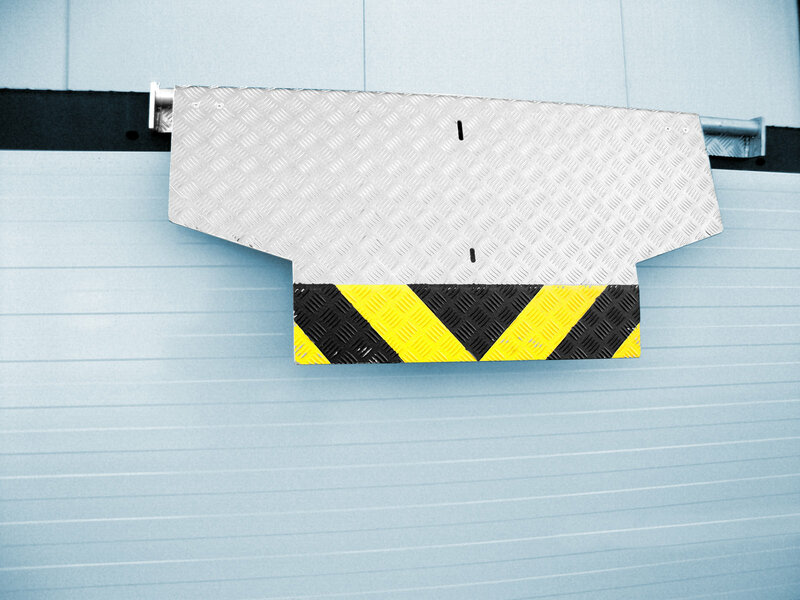 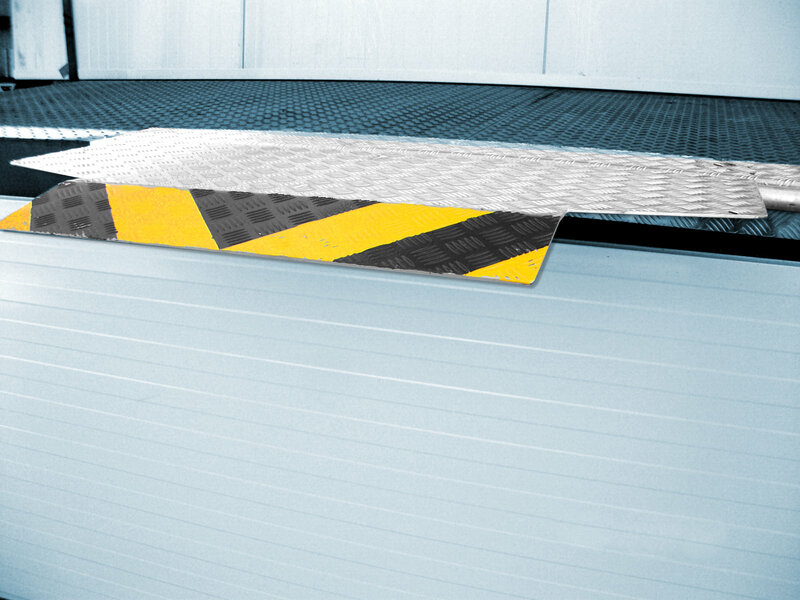 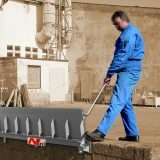 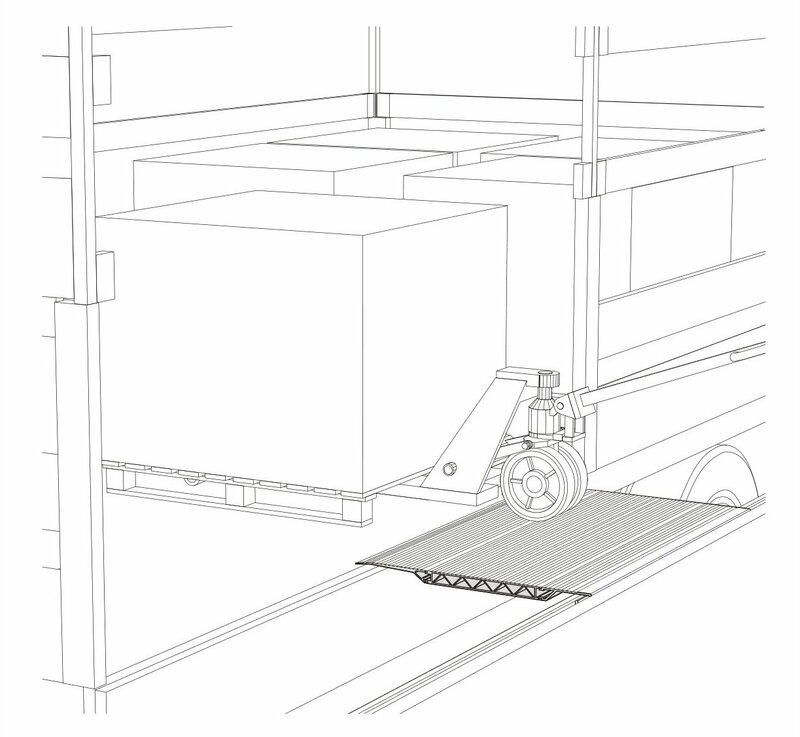 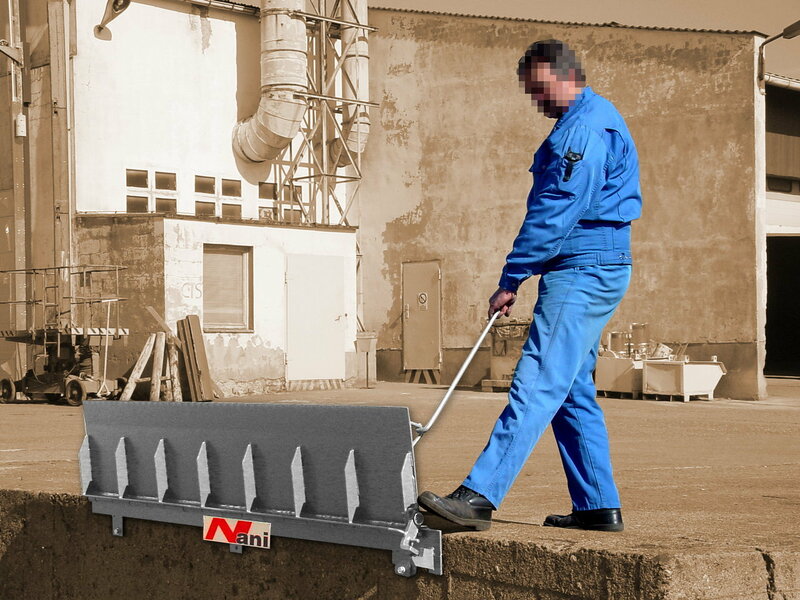 The dockleveller is constructed to comply with regulations for loading bridges and mobile ramps BGR 233 (previous ZH 1/156) and Euro-Norm EN 1398.